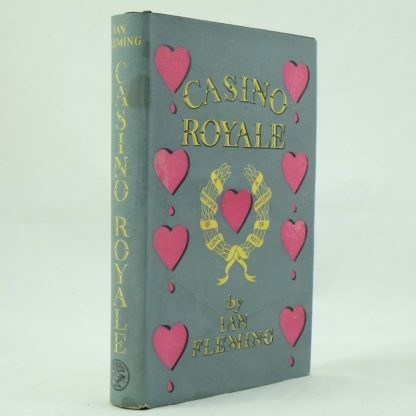 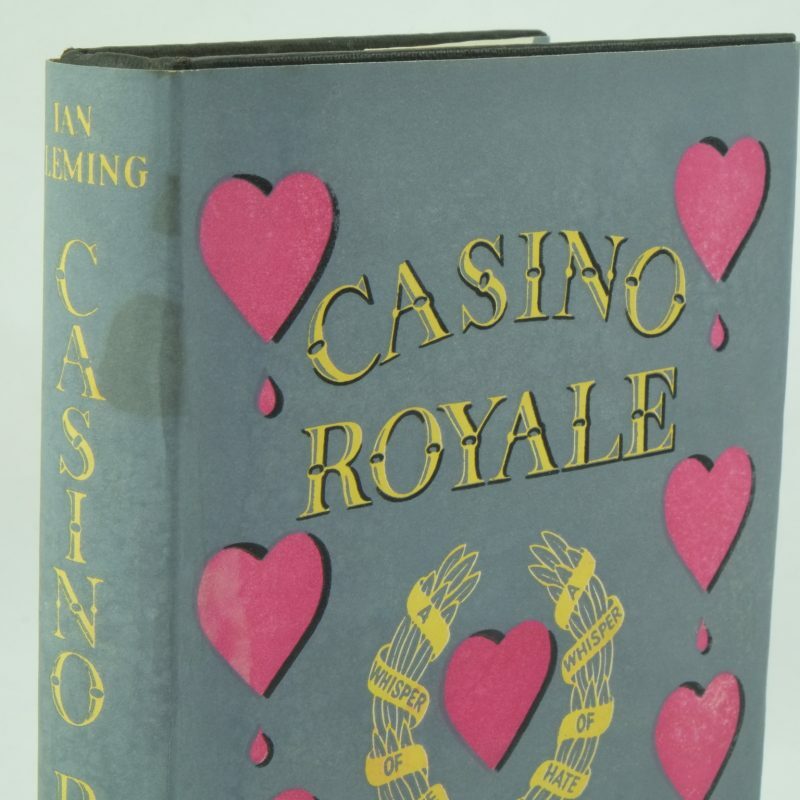 Casino Royale was the first of the James Bond titles and, as is the case for new authors, many of the copies were distributed to libraries and so are often found in a poor state without the dust jackets. However, this 1st edition, 1st impression, 1st state copy did go to a library yet was protected by a clear library cover which has been professionally removed revealing a bright copy. 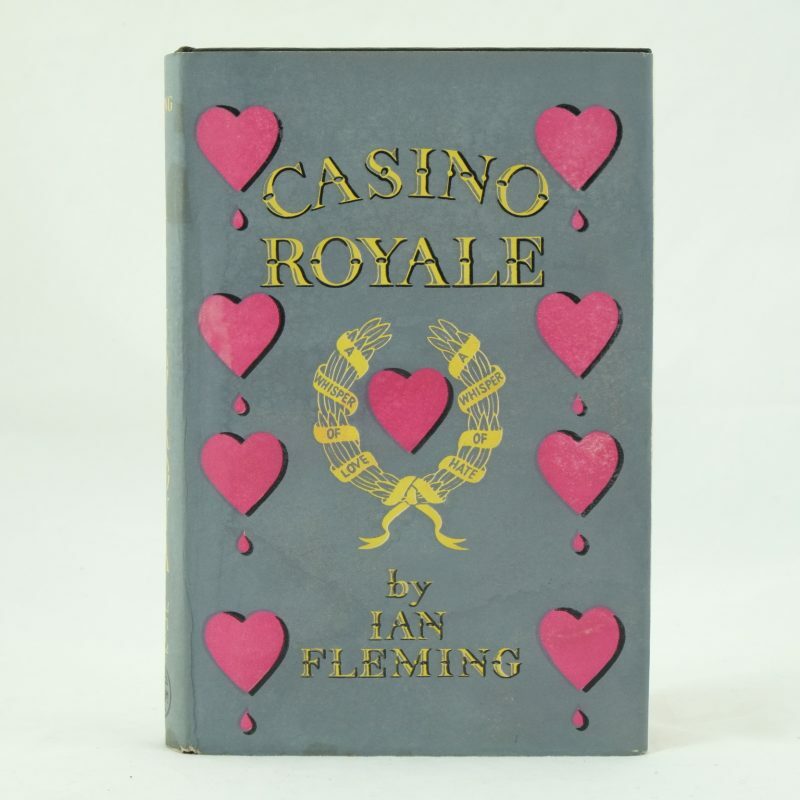 Both the book and dust jacket are therefore in extremely good unrestored condition and a rare find. 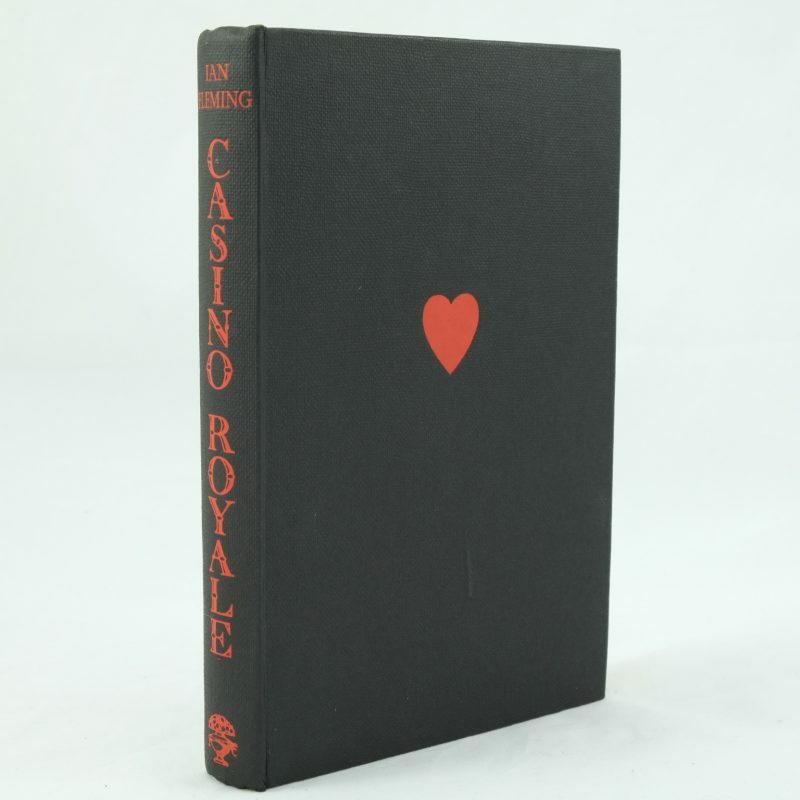 The book has original black cloth boards with a bright red heart to the front and red titles on the spine in VG condition. 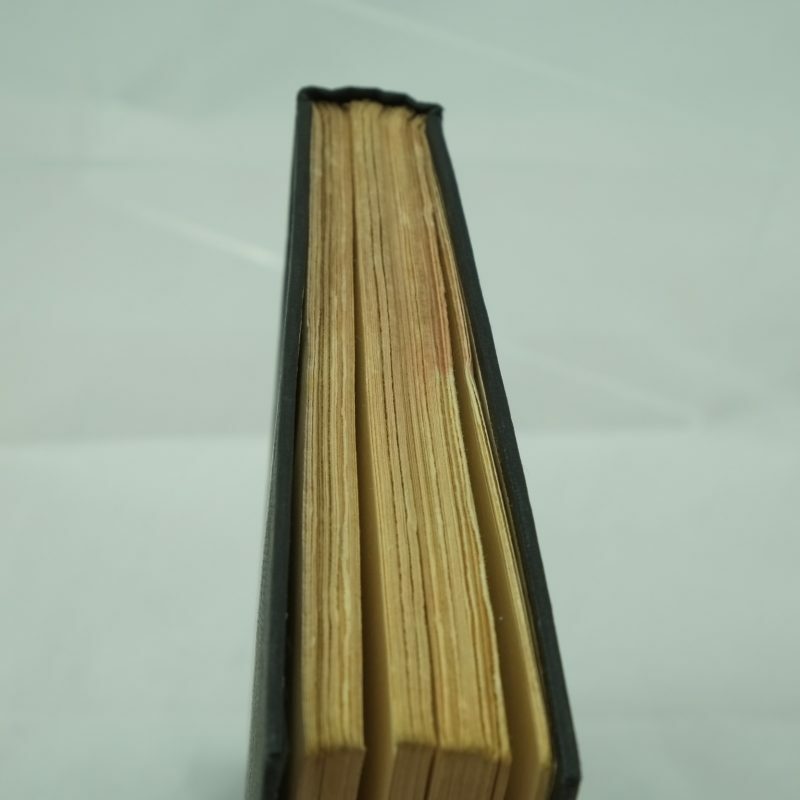 The front and back paste down have slight damage. 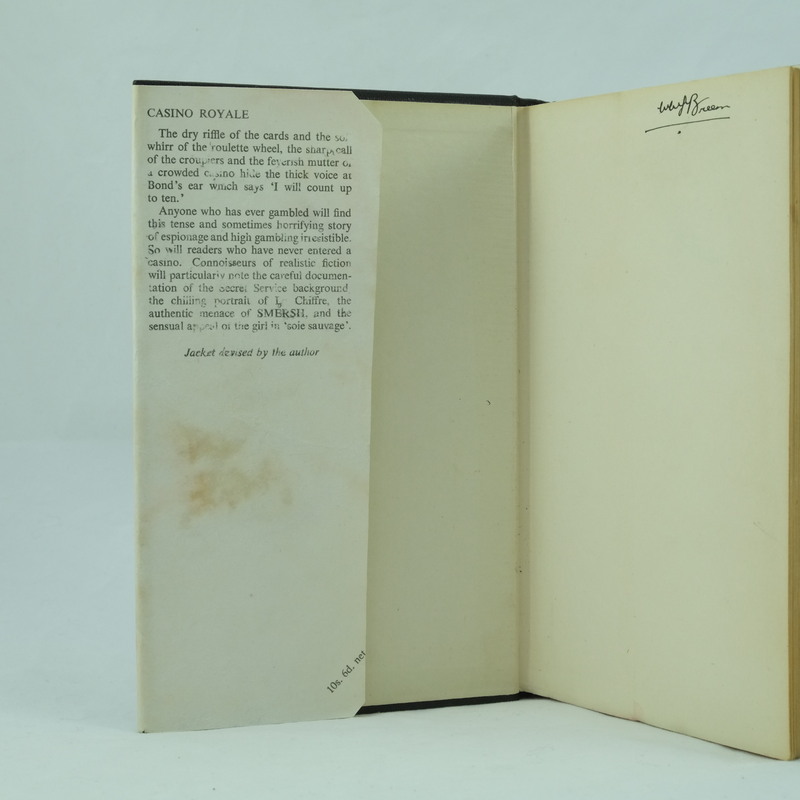 Signature of previous owner on the front free page, together with the tipped in signature. 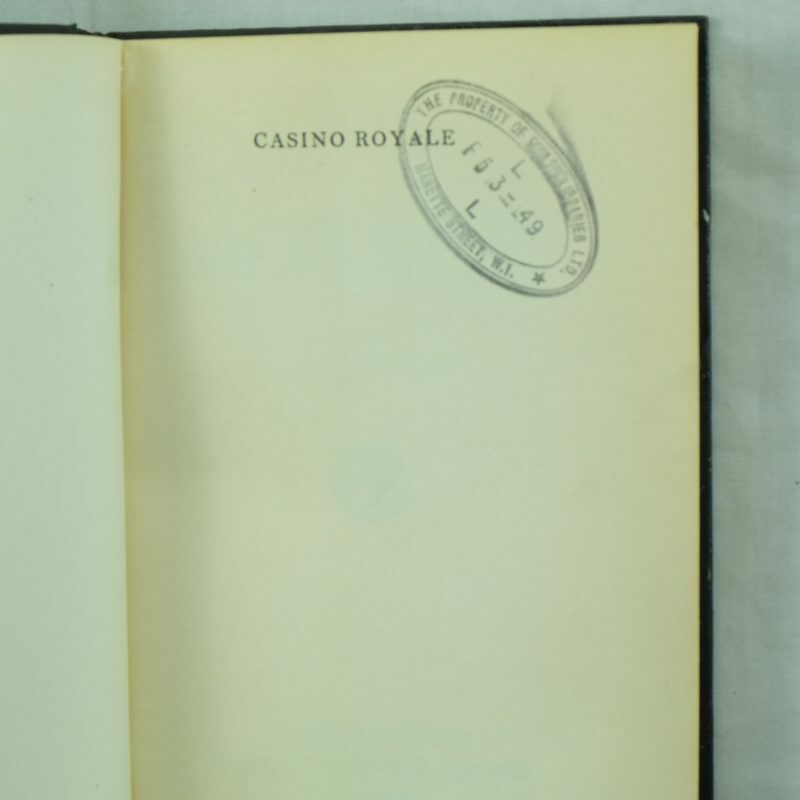 Library stamp on the half title page. 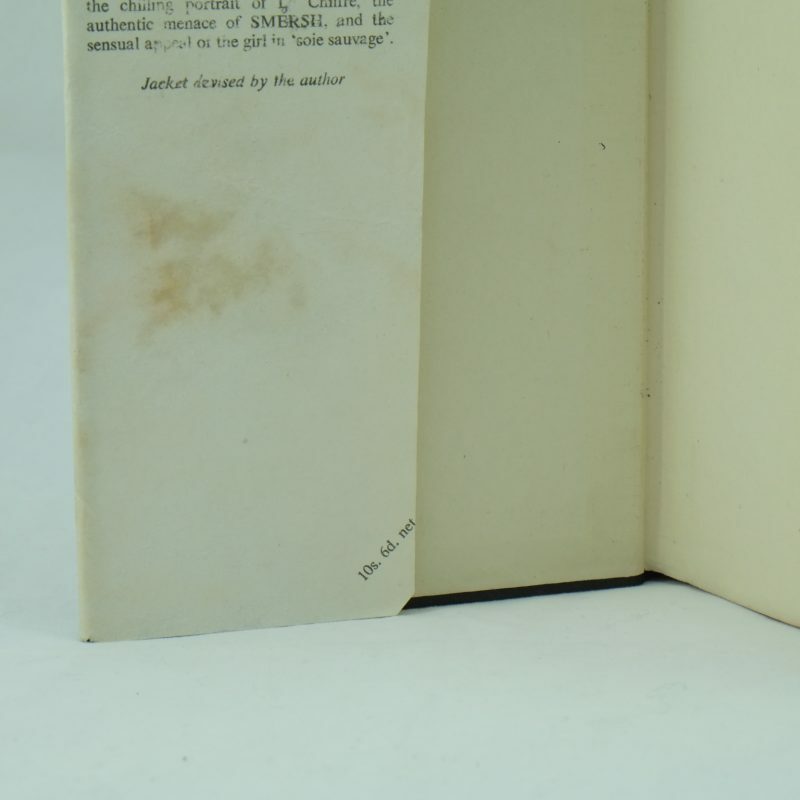 Stain on the last rear ends of the pages and also on the base of the page ends. 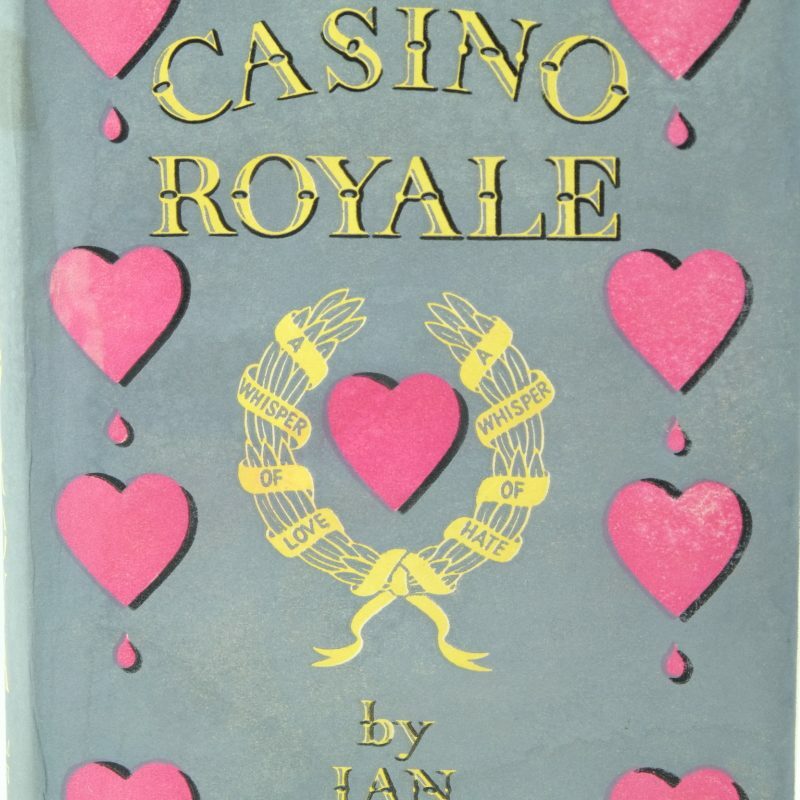 The matte dust jacket by artist Kenneth Lewis has bright, grey colours with pink hearts and yellow titles – slight fading in some hearts and a light change of grey colour across the front. 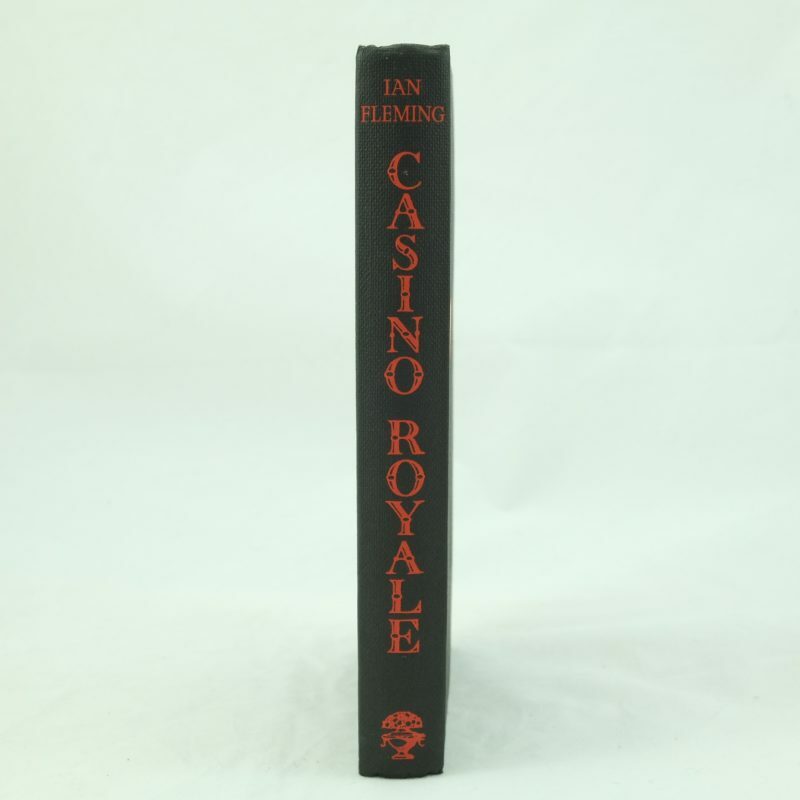 A light stain on the spine. 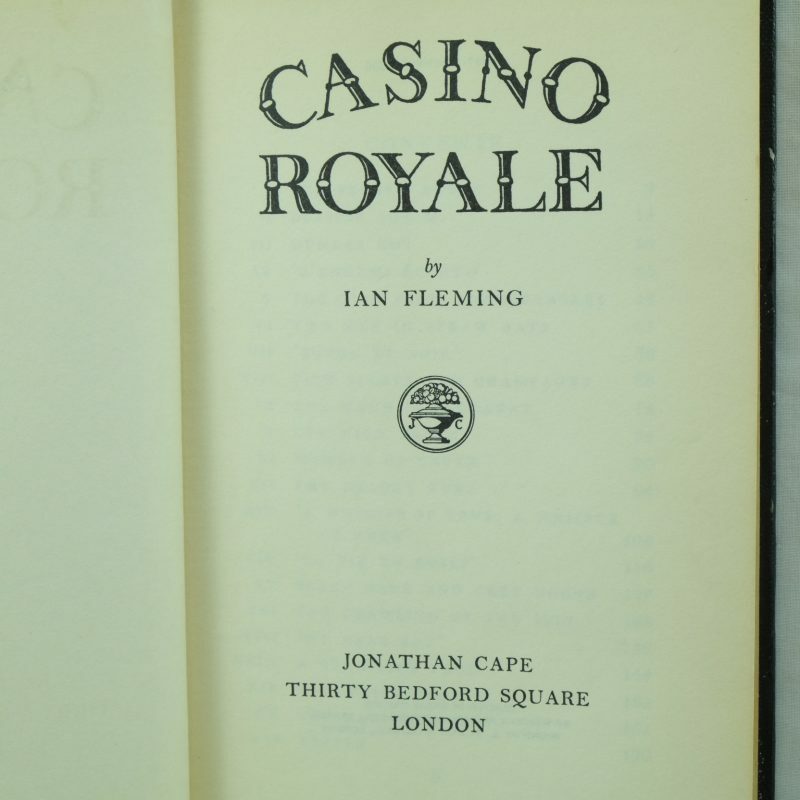 Some of the lettering on the front flap and rear cover is faded and lightly rubbed from the cover removal. 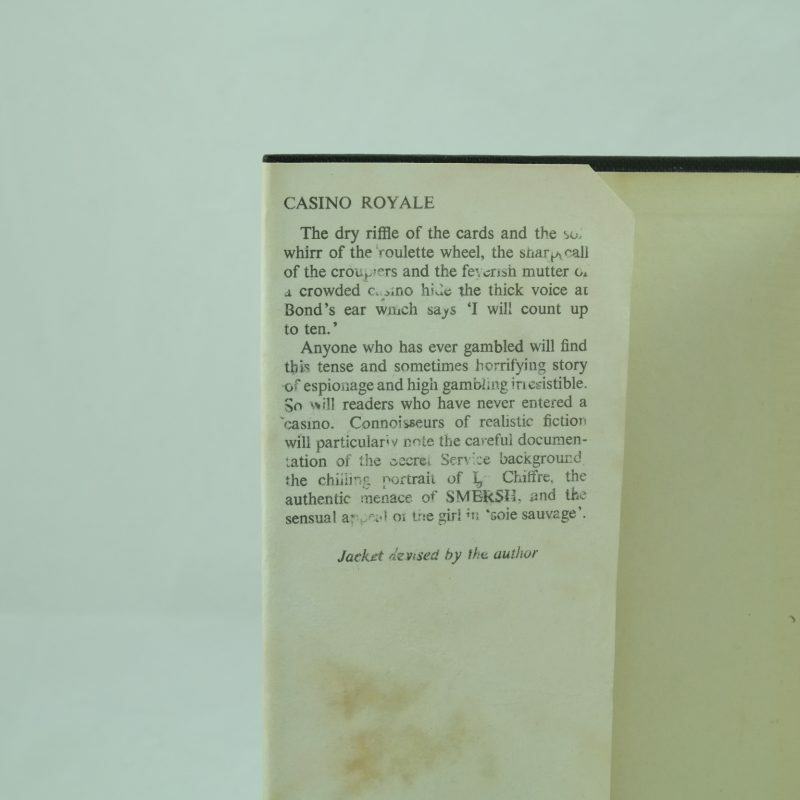 There is half a library stamp on the rear paste down of the jacket. 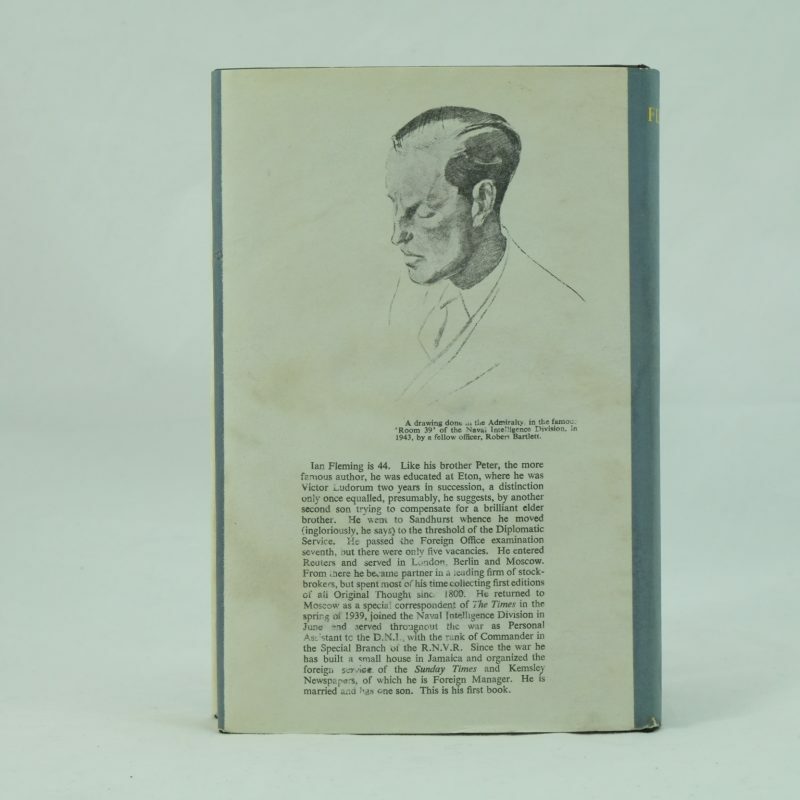 Blank front flap has no Sunday Times Review listed. 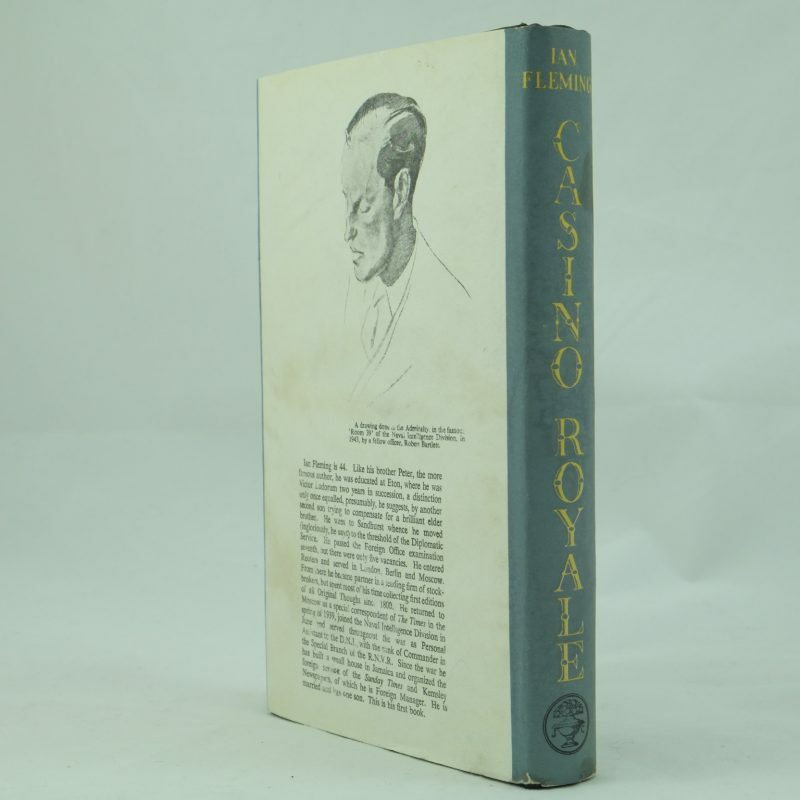 The rear panel has a drawing of Fleming and text about his life. 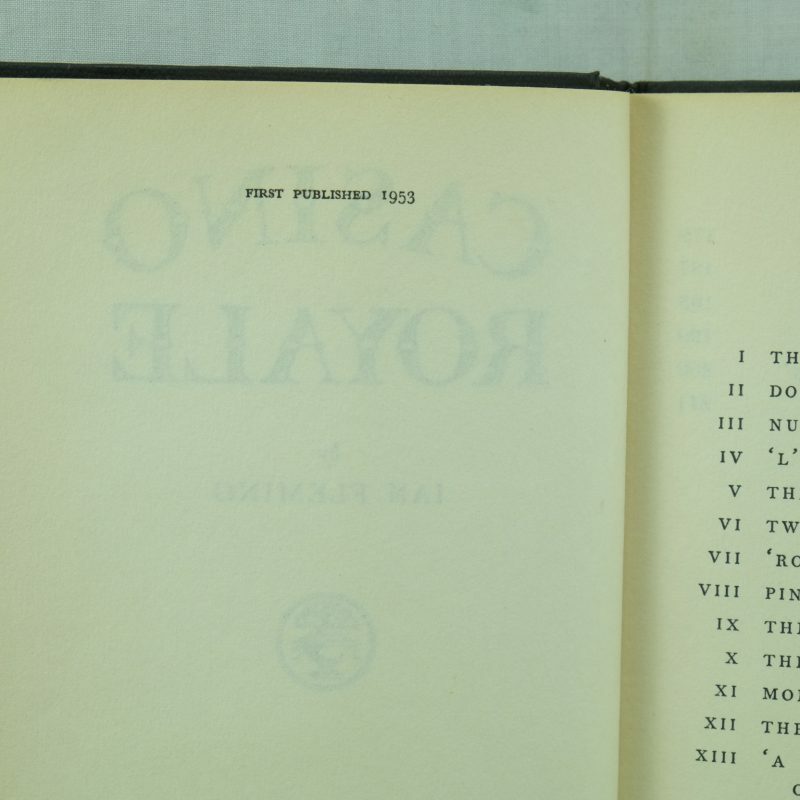 Not price-clipped – prices shown on front and rear flaps of 10s 6d net. 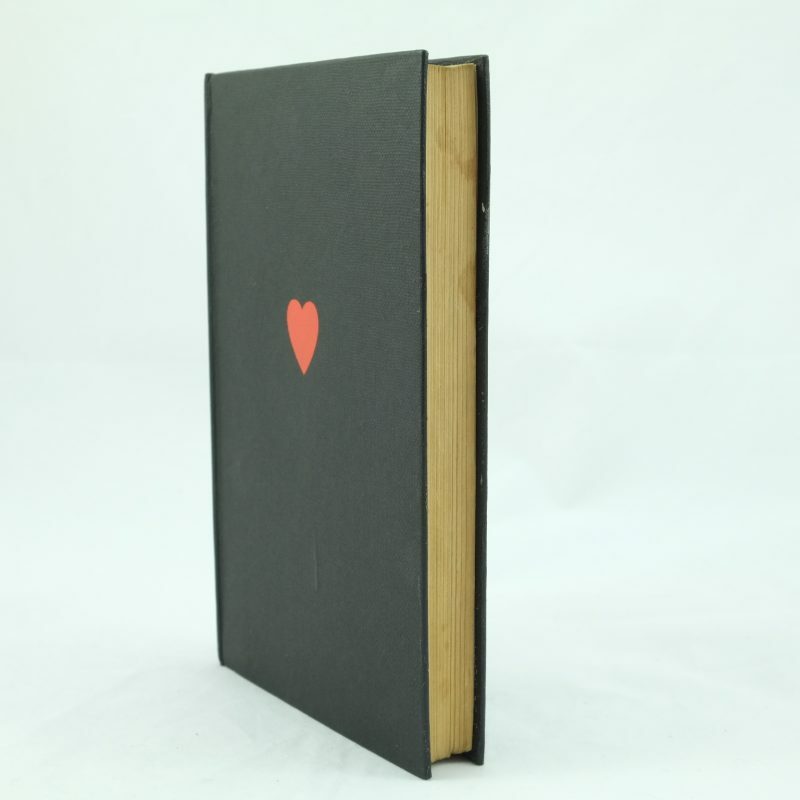 8vo pp 218.